♦The hot nuts are served to customers by bar staff. 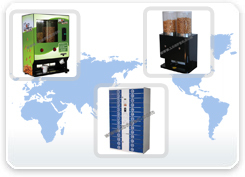 • There is LED light on top of the machine which can illuminate the nuts inside the hopper. 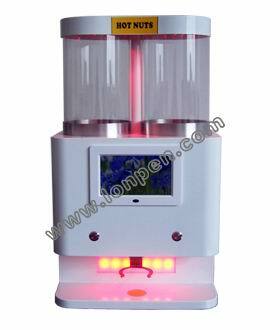 • Machine is very mini and smart, can be placed on the bar counter. • Optional accessory:7 inch TFT high-definition color LCD digital photo frame. Supports MPEG-1/2/4，AVI，DIVX etc. video formats.